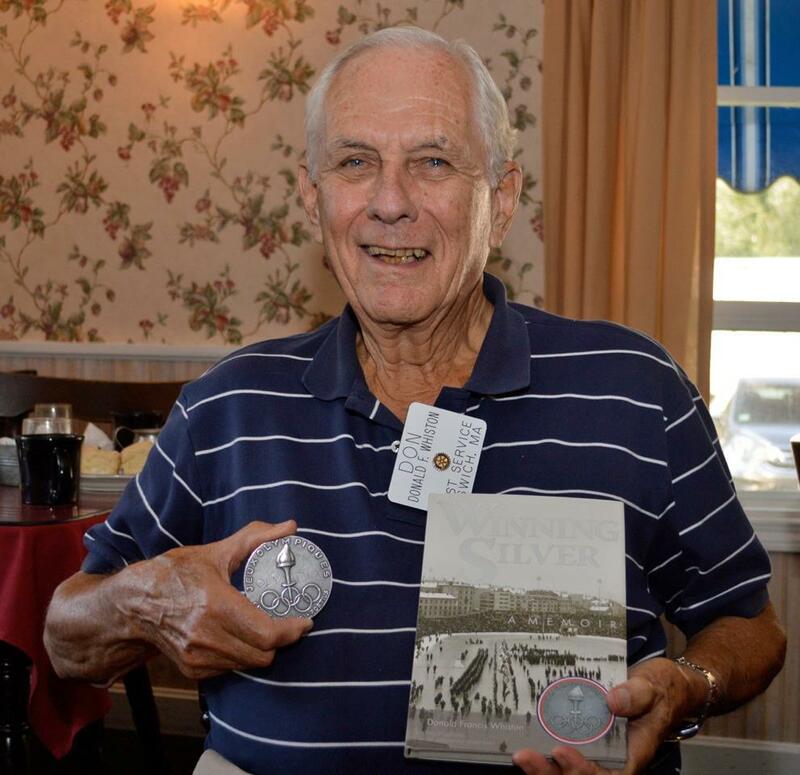 Our speaker at the breakfast club last week was long time Ipswich resident and Rotarian Don Whiston who regaled us with anecdotes from his new book “Winning Silver”. Don was an All American hockey pioneer at Brown University and a silver medal winning goaltender for the US team at the 1952 Oslo Winter Olympics. Rotarians had the rare opportunity to hold a real Silver Medal. While in college, he was the first goaltender to wear a mask. Clearly, there are no dummies at Brown; Don still has all his teeth. He served with the Coast Guard in the Pacific theater during the final year of World War II, is a former President of the First National Bank of Ipswich, and is well known for his philanthropic service. His book “Winning Silver, A Memoir” is an engaging tale of a life well-lived, and is published by “The Beauty of Books”.